"We have two months left before the completion of the e-declaration process," Groysman said. Prime Minister Volodymyr Groysman has said the rumoured plans to derail the electronic declaration system in Ukraine would be given a resolute rebuff. 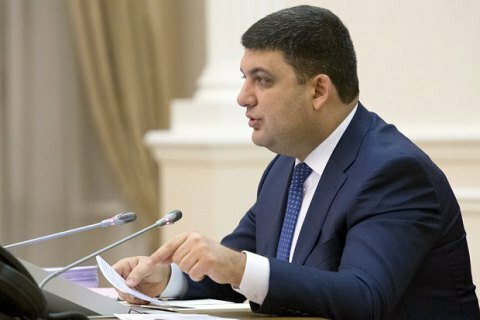 During a government meeting on 1 February, Groysman said that whilst the first stage of e-declaration was over, about 2 million Ukrainian public servants will have to submit their income and property e-statements by 1 April. "Rumours are circulating that someone wants the system of electronic declaration to fail. I'm warning you in advance, and the entire government warns you, that we've got two months to complete the declaration," said the prime minister. He said the system shall be optimized during that time. "We have allocated 65m hryvnyas to the National Agency for Prevention of Corruption (NAPC) for technical modernization. This is more than enough for the system to work smoothly. The government is ready to facilitate this but we cannot do your work for you," said Groysman. He stressed that everyone in the system has to work to make the e-declaration process user-friendly. Top-level officials in Ukraine have submitted their e-declarations by 30 October last year. In particular, the aggregate amount of assets declared by the country's MPs reached 12.3bn hryvnyas. The NAPC on 19 January announced the start of the second wave of the e-declaration process.